When it comes to the final days of the dinosaurs, Africa is something of a blank page. Fossils found in Africa from the Late Cretaceous, the time period from 100 to 66 million years ago, are few and far between. That means that the course of dinosaur evolution in Africa has largely remained a mystery. But in the Sahara Desert of Egypt, scientists have discovered a new species of dinosaur that helps fill in those gaps: Mansourasaurus shahinae, a school-bus-length, long-necked plant-eater with bony plates embedded in its skin. 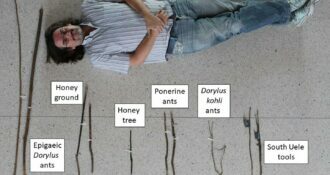 This discovery was funded in part by a grant from The Leakey Foundation. Donate today and help fund the next big discovery! Late Cretaceous dinosaur fossils in Africa are hard to come by–much of the land where their fossils might be found is covered in lush vegetation, rather than the exposed rock of dinosaur treasure troves such as those in the Rocky Mountain region, the Gobi Desert, or Patagonia. 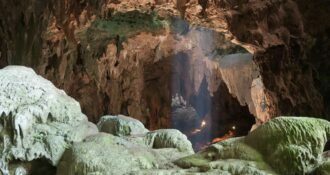 The lack of a Late Cretaceous fossil record in Africa is frustrating for paleontologists since, at that time, the continents were undergoing massive geological and geographic changes. Also contributing to the Mansourasaurus research were experts on African paleontology from other institutions in Egypt and the US. MUVP student Iman El-Dawoudi played a particularly important role in the analysis of the new titanosaur, making numerous observations on its skeleton. “The combined effort of multiple institutions across the globe, not to mention the absolutely key role played by students on the project from the field, to the laboratory, to the final analysis and write-up of the results, exemplifies the collaborative nature of expeditionary sciences today,” notes Dr. Patrick O’Connor, study co-author and professor of anatomy at the Ohio University Heritage College of Osteopathic Medicine. 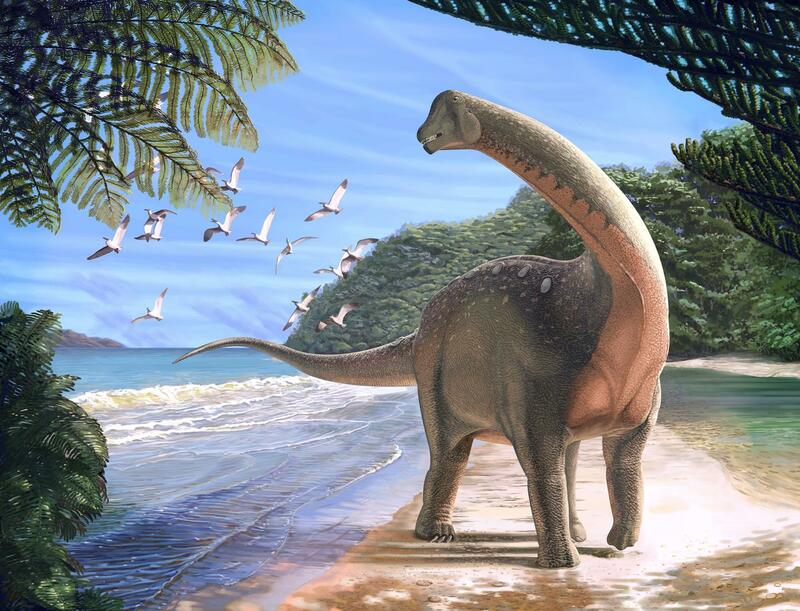 Funding for the Mansourasaurus study was provided by grants from Mansoura University, the Jurassic Foundation, The Leakey Foundation, the National Geographic Society/Waitt Foundation, and the National Science Foundation (NSF). 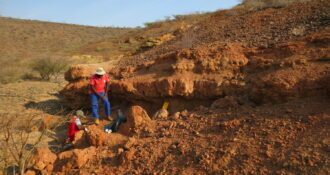 “The discovery of rare fossils like this sauropod dinosaur helps us understand how creatures moved across continents, and gives us a greater understanding of the evolutionary history of organisms in this region,” says Dena Smith, a program director in NSF’s Division of Earth Sciences, which partially funded the laboratory portion of the research. “What’s exciting is that our team is just getting started. 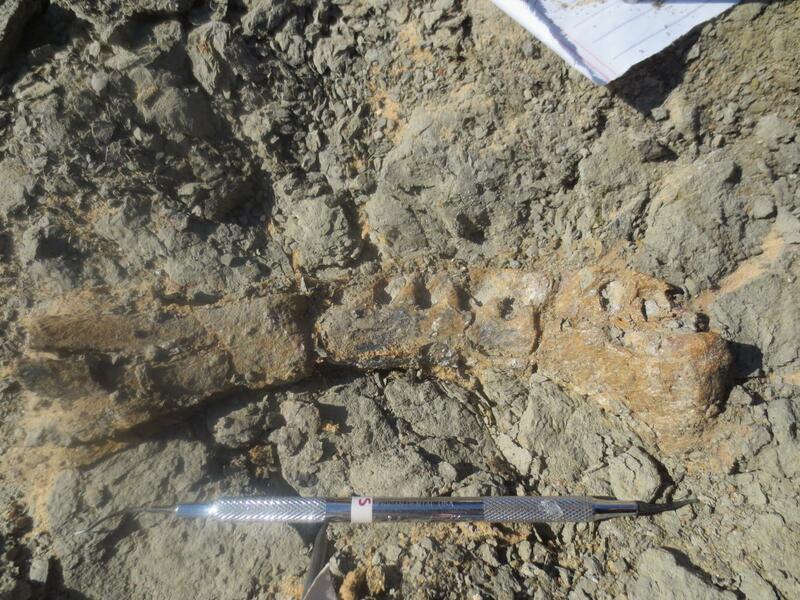 Now that we have a group of well-trained vertebrate paleontologists here in Egypt, with easy access to important fossil sites, we expect the pace of discovery to accelerate in the years to come,” says Sallam. Fascinating, accounting for plate tectonic movement throughout the vast expanse of geologic time, when all continents were connected as one plate Pangea (also spelled Pangaea) could account for this occurrence.